While we love trying out what those pick-and-go sort of cafes have to offer all around town, the thing with most of them is that they focus their all on delivering the best taste, but up compromising on the hygiene in the process. 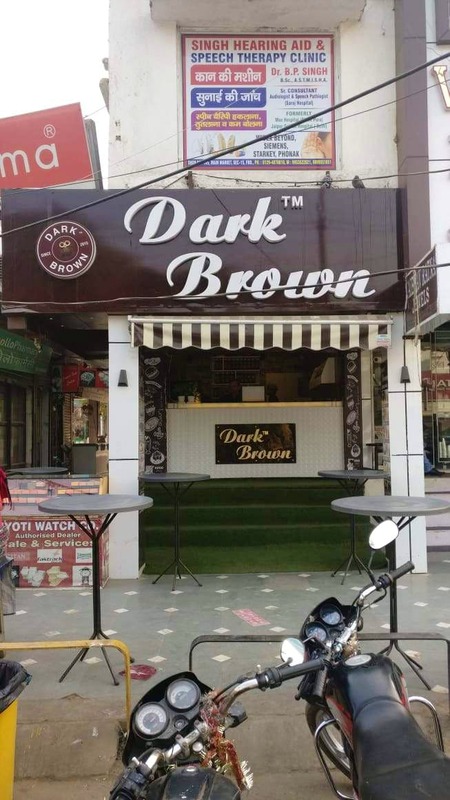 That's why when we came across Dark Brown in Faridabad, we were happy to see everyone in there wearing hairnets and plastic gloves while handling food (and even when they weren't). The outlet looked squeaky clean, too! Above all of that, the cafe offers a bunch of healthy eating options—so it's not exactly an all-junk situation. We ordered the Falafel Hummus Sandwich, and it made for a great afternoon snack (we wouldn't give it five stars, though). They've got paninis, wraps, pizza, burgers, waffles, salads, everybody's favourite Chinjabi grub. There's no seating, just two tables outside so you can stand and eat. Adding a few chairs would be great.